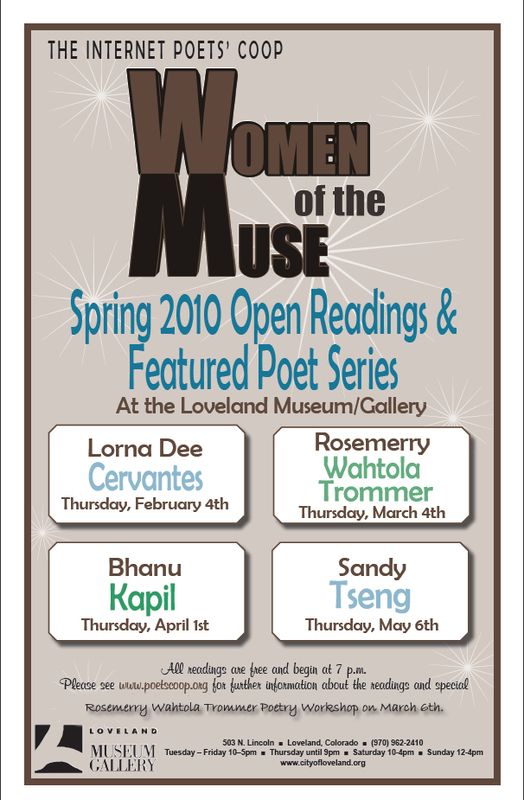 This spring, to celebrate a new decade of poetry at the Loveland Museum, the Poets' Co-op presents the Women of the Muse Spring Bonus Season! To celebrate our ninth year of open readings, the Poets' Co-op is hosting a special poetry workshop presented by Rosemerry Wahtola Trommer. The workshop will be Saturday, March. 6th, 1 - 4 pm at Catalyst High School (Near Nissi's at 95th & Arapahoe in Lafayette) $25 To reserve your seat at the workshop or for more information, please contact M. D. Friedman at mdATpoetscoopDOTorg. The Poets' Co-op Spring 2010 Open Reading Series will be held on Thursday, February 4th, March 4th , April 1st & May 6th at the Loveland Museum on the corner of Fifth & Lincoln. Readings will be downstairs at the Foote Gallery/Auditorium from 7:00 - 9:00 p.m. Complimentary snacks will be graciously provided by HENRY'S PUB (234 E. 4th St.). Readers & listeners embrace all styles of original poetry and range in experience from first time readers to published and polished “professionals.” Poets can sign up to read the night of the reading or ahead of time by email. Our Featured Readers represent a diverse mix of some of Colorado’s and our nation's finest poets. Our Featured Reader for Thursday, February 4th is Lorna Dee Cervantes. 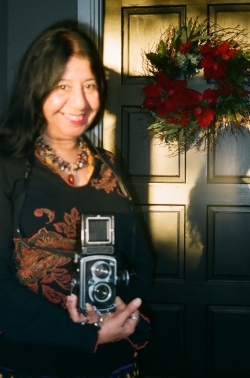 A fifth generation Californian of Mexican and Native American (Chumash) heritage, Lorna Dee Cervantes was a pivotal figure throughout the Chicano literary movement. She began publishing the literary journal, Mango, in the mid-1970s. Her small press, also named Mango, was widely admired for its creative designs and for the important voices it first brought into print, including Sandra Cisneros, Luis Omar Salinas, Ray Gonzalez, Jimmy Santiago Baca and Alberto Ríos among them. Cervantes is a dynamic poet whose work draws tremendous power from her struggles in the literary and political trenches. Her power is channeled by a keen intellect and careful attention to craft, which allows her to explore the boundaries between language and experience. Joy Harjo says of her poetry, "Lorna Dee Cervantes is a daredevil... We are transfixed as she juggles rage, cruelties, passion. There is no net. Seven generations uphold the trick of survival. No one is alone in this amazing act of love." Her poetry has appeared in literally hundreds of literary magazines and she has been featured on the cover of Bloomsbury Review and other literary journals. Her work has also been included in many anthologies, including Daughters of the Fifth Sun (1995), ¡Floricanto Sí! A Collection of Latina Poetry (Penguin, 1998), Unsettling America: An Anthology of Contemporary Multicultural Poetry (1994), No More Masks! An Anthology of Twentieth-Century Women Poets (1993), and After Aztlan: Latino Poets of the Nineties (1992). Cervantes' poems have appeared in over 150 textbooks, including mainstays such as The Norton Anthology of American Literature and The Heath Anthology of American Literature. Cervantes' first book, Emplumada (University of Pittsburgh, 1981), a recipient of the American Book Award, was praised as "a seamless collection of poems that move back and forth between the gulf of desire and possibility." Her second collection, From the Cables of Genocide: Poems on Love and Hunger (Arte Público, 1991) was awarded the Patterson Poetry Prize, the poetry prize of the Institute of Latin American Writers, and the Latino Literature Award. In 1995 she received a Lila Wallace-Reader's Digest Writers' Award. Cervantes holds an A.B.D. in the History of Consciousness; she is an associate professor of English at the University of Colorado in Boulder where until recently she directed the creative writing program. She has received two National Endowment for the Arts poetry fellowships, a prestigious Lila Wallace Readers Digest Fellowship, two Pushcart Prizes and numerous other grants and awards. 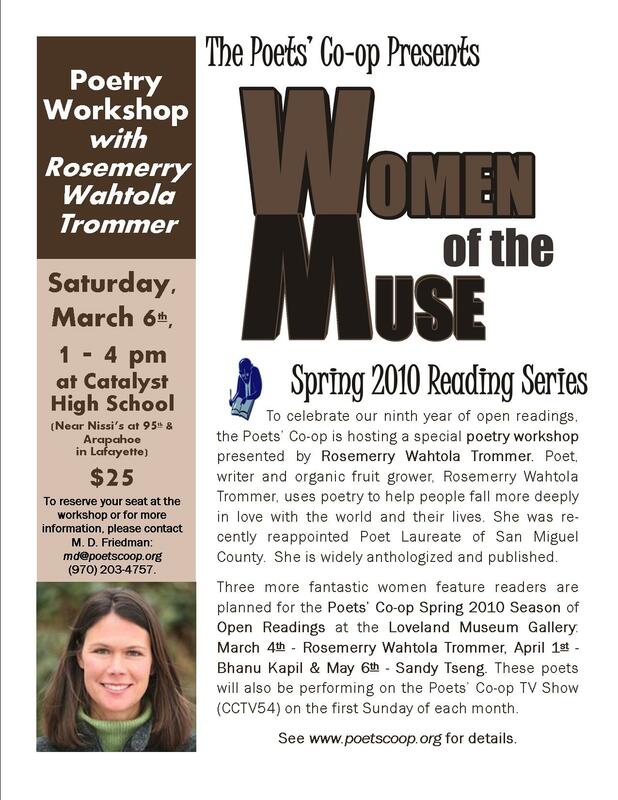 Our Featured Reader for Thursday, March 4th is Rosemerry WahtolaTrommer. Poet, writer and organic fruit grower Rosemerry Wahtola Trommer uses poetry to help people fall more deeply in love with the world and their lives. She was recently reappointed Poet Laureate of San Miguel County. • If You Listen, winner of the Colorado Independent Press Association poetry award. She’s widely anthologized, including The Geography of Hope: Poets of Colorado’s Western Slope, What Wildness This Is: Women Write About the Southwest, and Improv: An Anthology of Colorado Poets. teaches poetry in schools, independently and with Young Audiences, writes an award-winning linguistics column for the Telluride Daily Planet, sings with a 7-woman a cappella group, and is mother and step-mother to four-year-old Finn, infant Vivian, and 25-year-old Shawnee. Whew. For ten years, Rosemerry served as director of the Telluride Writers Guild and led a poetry discussion series at the Telluride Public Library. In 2007, she and her husband, Eric, bought a 70-acre orchard and now grow organic peaches, pears, cherries, nectarines, apples and apricots. Her master’s degree in English Language & Linguistics is from University of Wisconsin—Madison. Our Featured Reader for Thursday, April 1st is Bhanu Kapil. Born in the UK to Indian parents, Bhanu Kapil lives in Colorado. She teaches in in The Jack Kerouac School of Disembodied Poetics at Naropa University, as well as the graduate writing program at Goddard College in Vermont. 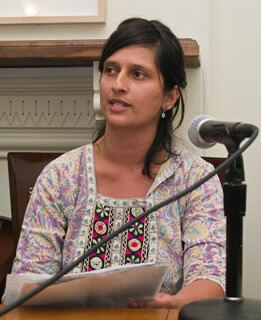 Bhanu Kapil has written three full-length prose/poetry works: The Vertical Interrogation of Strangers (Kelsey Street Press, 2001), Incubation: a space for monsters (Leon Works, 2006), and Humanimal, a Project for Future children (Kelsey Street Press, 2009). She also maintains a blog, "Was Jack Kerouac A Punjabi? a day in the life of a Naropa University Writing Professor", devoted to quotidian and hybrid behaviors of all kinds. Nationally, she has given readings of her work and presented lectures/panel talks on monsters, cyborgs, and hybrid subjects of all kinds; most recently as part of Adfempo, a feminist poetics conference in New York City. This summer, she will be teaching a workshop on "sentence/species" as part of Naropa University's Summer Writing Program. 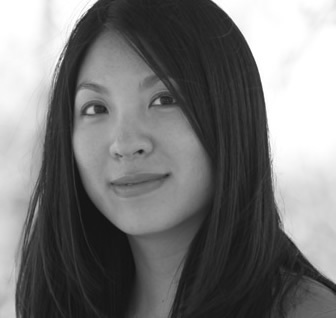 Our Featured Reader for Thursday, May 6th is Sandy Tseng. Sandy Tseng's book of poems, Sediment , was published by Four Way Books in October 2009. Among her awards are The Nation 's 2006 Discovery Award, and scholarships from the Bread Loaf Writers' Conference and the Vira I. Heinz Foundation. She has held residencies from the MacDowell Colony and the Virginia Center for the Creative Arts. 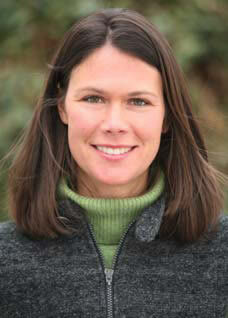 Her work has appeared in Crab Orchard Review, Crazyhorse, Fugue, Hunger Mountain , Third Coast , and other journals. Her poems were recently anthologized in Yellow as Turmeric, Fragrant as Cloves (Deep Bowl Press, 2008).